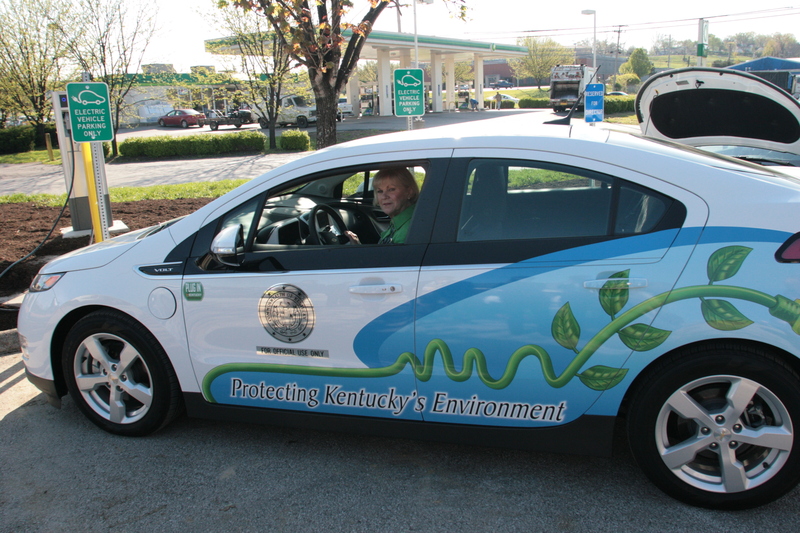 Who has the greenest state fleet in Kentucky? The Department for Environmental Protection, that’s who! 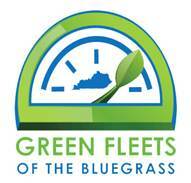 On Dec. 17, 2013, DEP received the Greenest State Fleet Award from the Kentucky Clean Fuels Coalition (KCFC). The award was presented at historic Boone Tavern in Berea where DEP staff arrived in green fleet style driving a Chevrolet Volt. First Lady Jane Beshear preparing to give one of the Volts a test drive. The DEP Chevrolet Volts have received quite a bit of attention as Department for Environmental Protection (DEP) employees drive them across the state. The department has been operating four Volts and two charging stations since early 2013 and has learned a lot about the plug-in electric vehicle in that short time span.